The Doughnut Vault is probably one of the best doughnut places in Chicago. They open early in the morning and sell doughnuts until they run out. It does vary from day to do... especially depending on weather and if it is a weekday or weekend. Sometimes I stand outside and wait for half an hour and other times I walk right in. I suggest arriving 15 minutes or more before they open and be one of the first in line. This way you will get your choice from all the doughnuts they offer. Whatever you decide, just be sure to buy one of each type that is available.. this way you won't be disappointed. My personal favorite. I have never had a chestnut flavored doughnut till I discovered it here at the Doughnut Vault a while ago. The doughnut is super fresh... still a little warm and very soft. Surprisingly, it is not overly sweet. The chestnut flavor does peak through the typical doughnut taste and adds a nice aftertaste that keeps you wondering what you are actually eating. Some people describe it as a maple taste and others more a nutty flavor. Either way, make sure to not miss this unique doughnut! This was the Fat Tuesday Special! I arrived just in time to snag the final couple of this doughnuts. They are filled with a raspberry jam and lightly dusted with powered sugar. This was a huge hit that they ran out in 20 minutes and decided to make them a couple more days for other people to try. The jam was nice and chunky with the seeds giving the much needed textural difference. Huge flavors packed into a doughnut... amazing! I do not really enjoy this doughnut. There is nothing special about the chocolate they are using and it actually makes their plain glazed doughnut a little too sweet (and I have a huge sweet tooth). You definitely need a cup of coffee when trying this one. Try everything before ordering this doughnut please. A different way to serve doughnuts... this order comes with three skinny doughnuts which equals out to one larger doughnut. 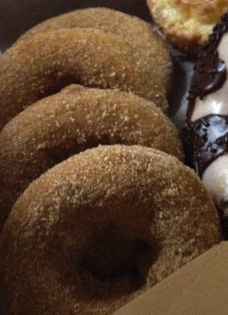 When biting into one of these doughnuts, you definitely taste the gingerbread, but the overload of cinnamon and sugar makes most people just want to eat one of the skinny doughnuts. 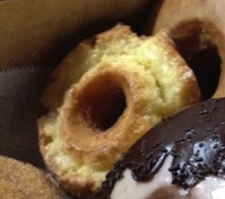 The doughnut itself isn't as fluffy as the other ones. It is definitely a great option for sharing. I always think choose one other doughnut and share a pack of these with your friends. Another one of their specials... This one though is a rotating special, so if you miss it one day, just wait till it comes back in a week or so. I was pleasantly surprised to find this doughnut actually tasting like pistachio. It reminds me of pistachio ice cream... 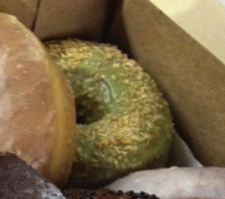 The pistachio flavor is mild and throughout the entire doughnut and when you bite one of the large chunks of crushed pistachios, you get the full flavor which is delicious. The doughnut itself was once again perfect. One of their most popular doughnuts. It took me several visits and a lot of waiting in lines to finally get a hold of this classic. 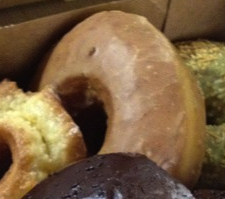 It is more of a cake doughnut so its super dense rather than the fluffy texture of their glazed. I actually really enjoyed the density of the doughnut. It is more substantial for sure and you can actually taste the buttermilk richness. 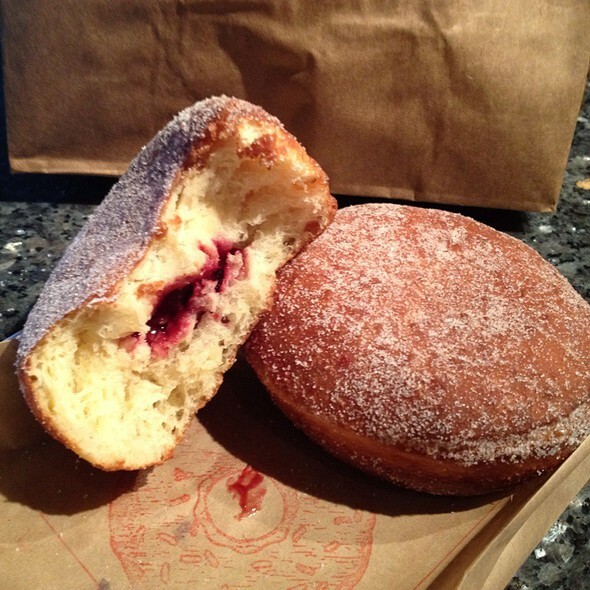 It is worth the wait... so if you keep missing out on this popular doughnut... keep going back till you get one! - Get their early (BEFORE THEY OPEN)!!!... Wait in line and once they open just follow the line inside and place your order at the cash register. They do not take credit card so BRING CASH! - Do get coffee for $1. 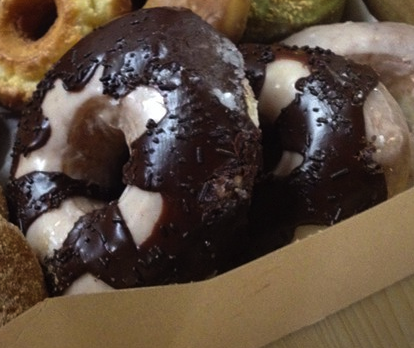 The doughnuts are much better with a cup of hot coffee! - Don't forget your $$$... no credit cards! - Don't drive here... the parking is pretty scarce and you never know how long you might have to wait for your doughnuts. This looks delicious. If only I have more than enough money to spare, I'll definitely ask franchise for sale sydney offices if they have The Doughnut Vault. This seems really tasty over a cup of coffee. I can't afford to have a doughnut franchise as of this moment but I guess if I save enough from a profitable online business, I would definitely choose the Doughnut Vault to build a franchise with. It looks so tempting and delicious! That's like the ultimate dream.